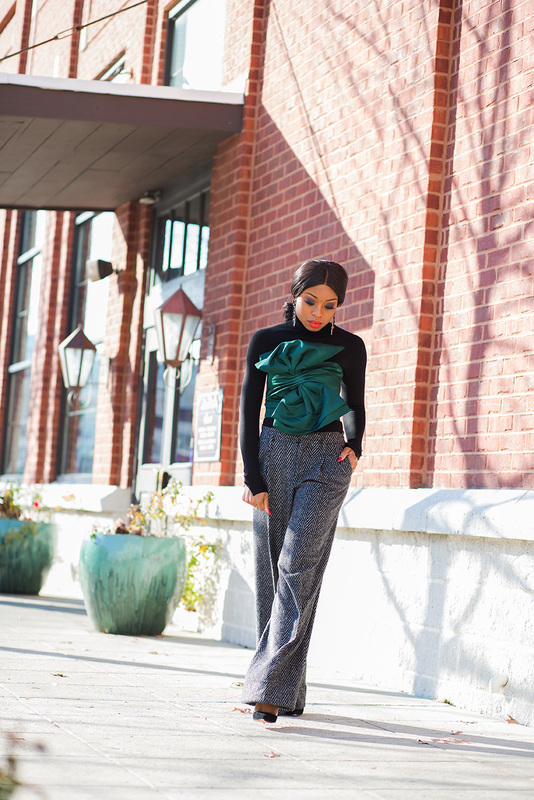 Layering pieces of clothing is another fun part of styling and it comes in handy during cold seasons. 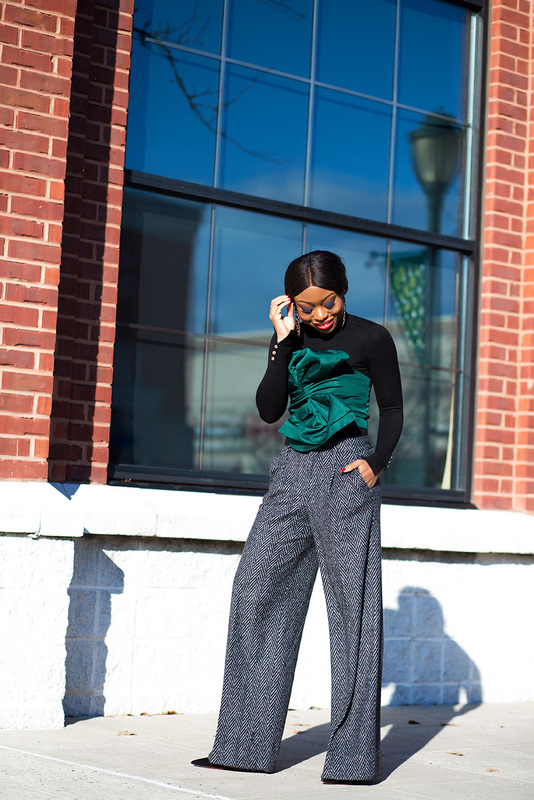 For example, in the middle of winter, a crop top can be styled and layered with warm pieces. 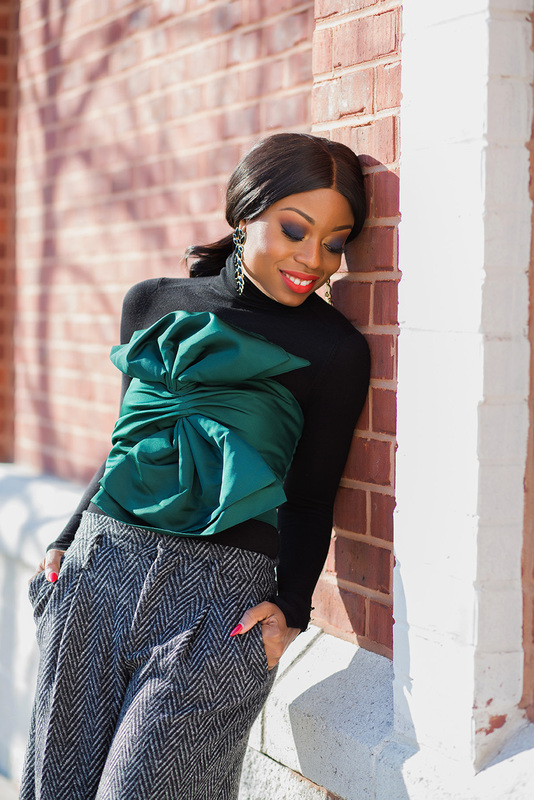 I never hide my love for crop tops and bows and the moment I saw this big bow crop top, I knew it would fit in my closet. 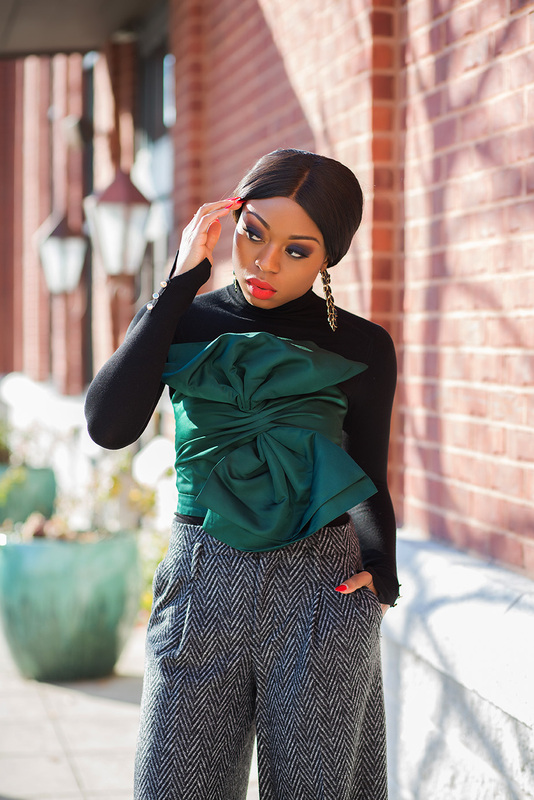 The exaggerated bow and emerald color is unique making it a piece that will make an outfit standout. 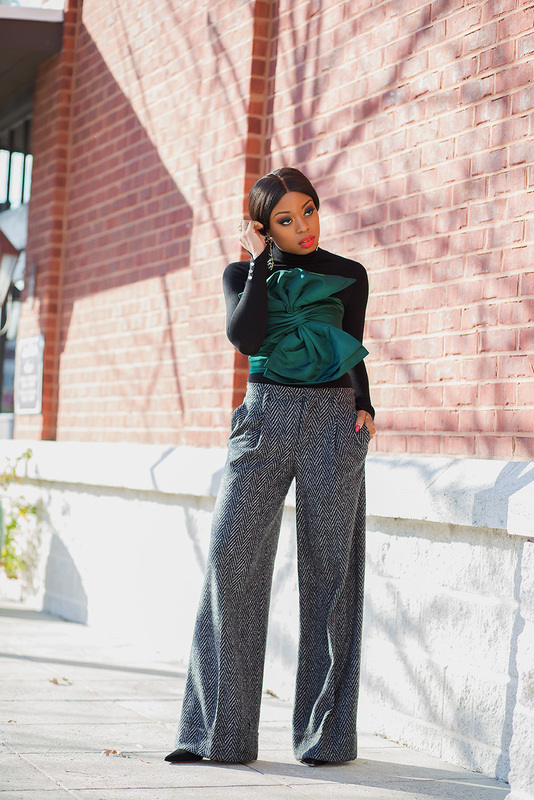 Since we are in the middle of winter, I had to layer with a turtleneck sweater and paired with wide-leg tweed pants for a formal appeal. A couple of months ago, I styled this outfit casually for a dinner date with friends. If you follow my Instagram story or Snapchat (Jadore-Fashion) you might have seen how I styled the crop top layered with a white button down shirt paired with boyfriend jeans and velvet pumps. 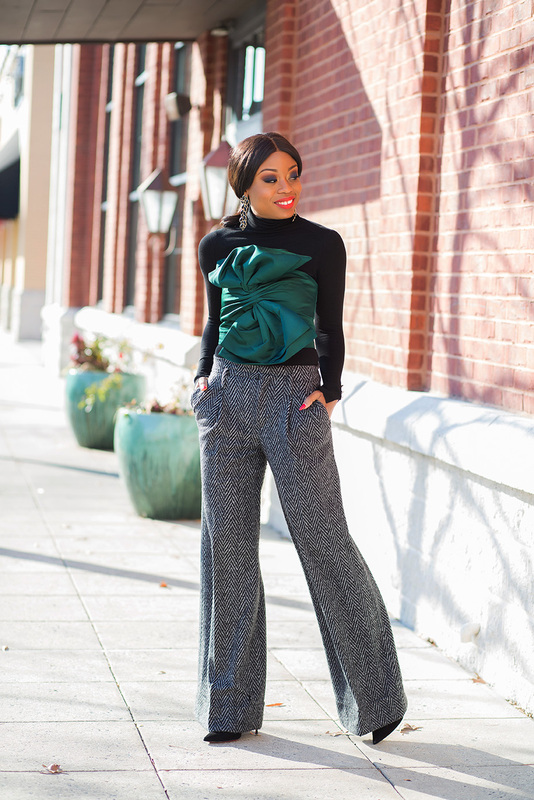 The bow crop top is versatile and it is an item that can transform a simple look to a glamourous one.